Millions of Americans enjoy the country’s National Park System every year, but do you realize how much trash thoughtless people leave behind? Perhaps they’ve never heard the scouting motto, ‘Leave a place cleaner than you found it’, but for whatever reasons, people litter national and sacred lands with food trash, cans, forgotten pieces of clothing, and worst of all, diapers! A man named Carl Garner, living in Arkansas, was well known in his community for encouraging young and old alike to help keep his native Greers Ferry Lake and surrounding Little Red River clean of trash and pollutants. He became aware of how important it was to be environment friendly after he helped construct Greers Ferry back in the early 1960’s. He became an environmentalist who cared deeply about human impact on natural environments, even when being so dedicated wasn’t at all popular. He began a project called the Greers Ferry/Little Red River Cleanup, and ever since, the project has grown to become a shining example for such volunteer projects throughout the United States. Garner’s project became the model for what was to be later known as the National Public Lands Cleanup Day that was created at local, State and Federal levels some years later. This national project was created to address the growing and alarming rates of pollution, not only from vehicle emissions, but that caused by human contact with National Parks and lands throughout the United States. Carl Garner Federal Lands Cleanup Day is observed on the first Saturday after Labor Day, and countless thousands of citizens from every state contribute hours of their day to not only clean up local public parks and lands, but also attend ceremonies and activities that are created and designed to draw attention to the fact that the land belongs to all Americans, and as such, we have a responsibility to keep it clean and as environmentally natural as possible. Created in 1985 by the Federal Lands Cleanup Act, this day used to also be known as ‘Federal Lands Cleanup Day, though it was renamed in 1985 in honor of Carl Garner’s work in Arkansas. Nearly every citizen in the United States enjoys trips and hikes through our National Park system, to enjoy the benefits nature offers us. The National Park system attempts to ensure that every park within their domain, including memorial parks and battlefield locations, are well cared for, but their lack in budget and manpower often makes that an impractical dream. Visitors to any National Park can do their part to help Park Rangers by cleaning up after themselves and refraining from littering while they are on Federal lands. Local and state parks are even more understaffed than the National Parks and require a greater diligence from locals than ever before. Most people know how to respect federal lands, and are conscientious and careful about cleaning up after themselves, but many people just don’t seem to realize what they’re leaving behind, and if they do, they don’t care. The shame of it is, everyone suffers from such lack of respect and concern, and our national parks take the brunt of the neglect. National Parks and lands are created to protect against overbuilding, deforestation and over population, but they’re not protected from careless people who don’t care where that McDonald’s cup or bag end up. 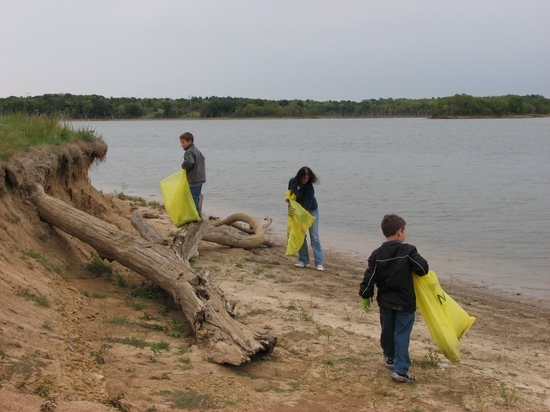 Helping to protect our natural parks, and the wildlife within them, from the thoughtlessness of some has become a regular endeavor for many schools around the country, with classrooms taking fieldtrips to local parks every year to do their part in helping keep America clean. Many Girl and Boy Scout Troops make an effort to join in on Carl Garner Federal Lands Cleanup Day every year, and are proud to participate in such a beneficial event. Keeping America clean is a responsibility that belongs to every American, regardless of age, race and social status. Carl Garner believed that, and so do hundreds of thousands of people who follow his example every year, on the first Saturday after Labor Day.